We call these trips “a spa for your wild soul” because they’re such a treat for the mind, body and soul – connecting, kayaking, woods walking, sticking toes in the sand. 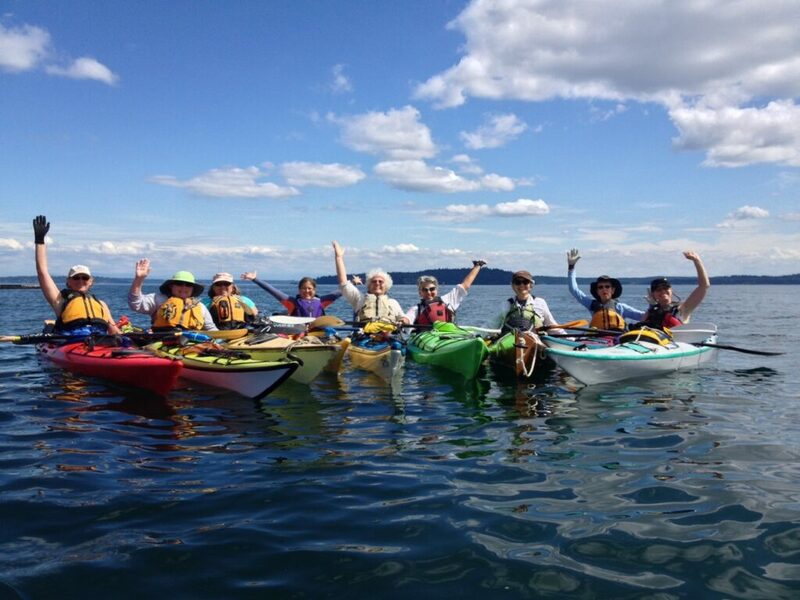 We paddle from Bainbridge Island to beautiful Blake Island, located across the Puget Sound from West Seattle, Washington. These trips are truly a gift for our hearts and souls. Blake Island is a state park, with both sandy beaches and 5 miles of trails in the woods. 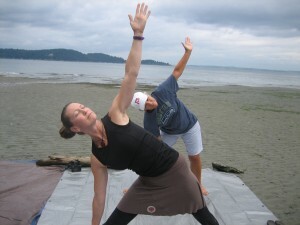 Trips are 2 nights and 3 days (Friday morning – Sunday afternoon). All experience levels are welcome, including beginners! 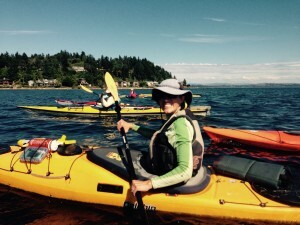 Spring has been a kayak instructor for 20 years and LOVES sharing what she’s learned with other women paddlers. We hope you’ll join us! Included: food, parking, camping costs, optional yoga and meditation, and lessons on kayak packing, paddling and proper body dynamics. 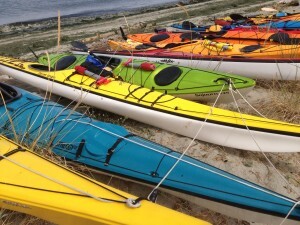 Kayak rentals are not included but we can help set up rentals with delivery and pick up – contact us for details. SPACE IS LIMITED to 10 people per trip and they fill up fast! Cost: $375 for three days and two nights. FRIEND/FAMILY SPECIAL: bring a friend or family member and you each receive $15 off. RETURNING FRIENDS: $20 off if you have joined us for a weekend before. Only one discount per person please. Use the Drop Down Menu to choose your specific trip! For more information: call/text Spring at 360-265-2477 or e-mail us using the contact form on this website. Check out this wonderful article about our trips HERE. Maria and Spring were born to lead these trips. Their collective kindness, patience and humor made for an outstanding weekend. Can’t wait to return! I think Spring and Maria were great leaders in this group – their planning and organization was awesome and they were so much continual fun! 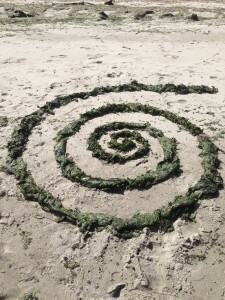 Our end-of-August Transformational Journey was a pilgrimage on every level. 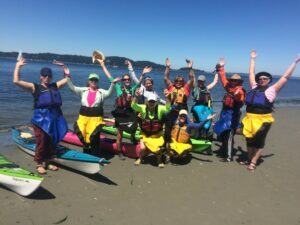 It began when I signed on, knowing this was something way out of my normal routine—I’m an introvert, an inexperienced kayaker, and haven’t camped in 20 years. But I trusted the experience and wisdom of Maria and Spring, With kayak packing tips from Spring the morning of our launch, and a few lessons on paddling technique, we were off, on one of those staggeringly beautiful Pacific NW days. Kayaking was pure pleasure. We saw seals, sea lions, jumping fish and even a couple of porpoises. My body and soul thanked me the entire way. When we set up camp, the real surprises began—my fellow journeyers. Each woman gradually began to reveal herself at a soul level, with tears and laughter, with quirks and foibles, and all the masks of daily life gone. Over delicious meals, and relaxed circles, with stories, hikes, yoga on the beach and more, we grew to know each other, and ourselves in a way that is truly miraculous. 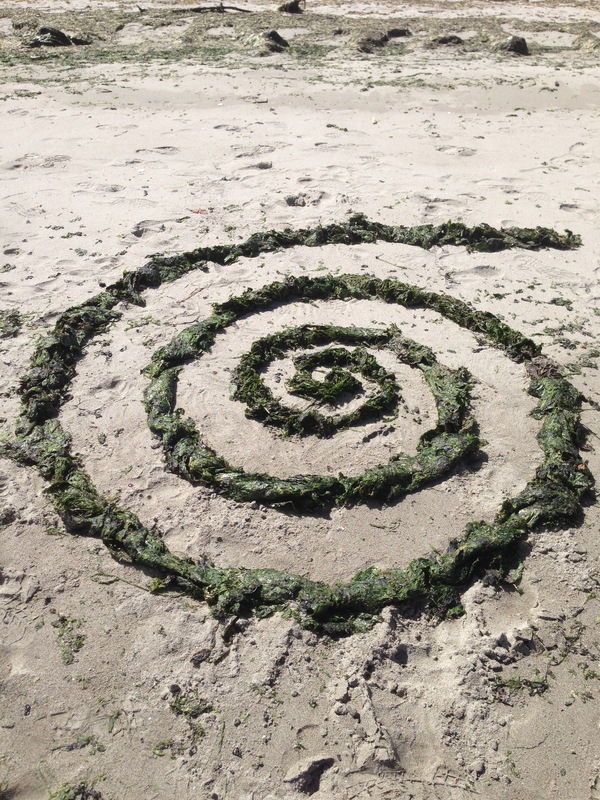 What’s more, the presence of the Earth was always with us—in the sea, the summer wind, the land—and even the thieving raccoons. By the time we returned to our families and homes, we were renewed and newly sensitive to the beauty of this life and our fellow travelers in it.